I generally shy away from writing on established "producers" - but this design studio is a total exception. One, the founder - Rana Salam - isn't so much of a producer as much as an artist. 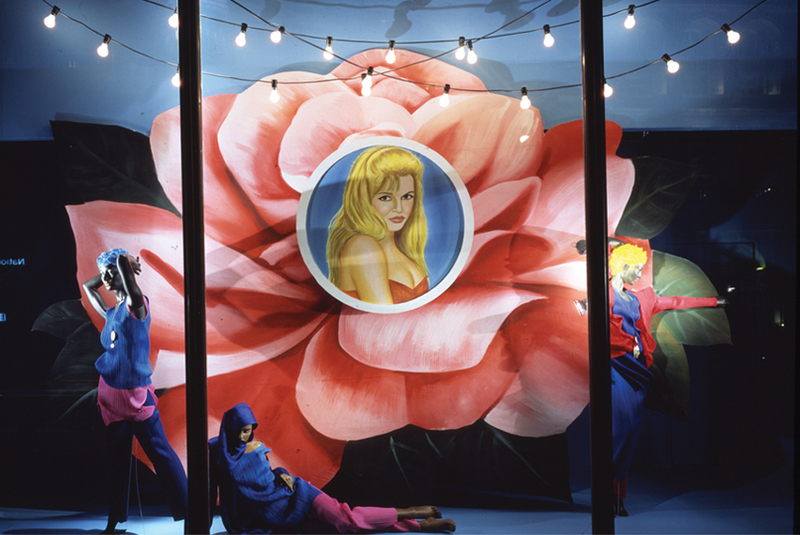 Two, I have utmost respect for artists who preserve - and more so, modernize - their identities in their work. 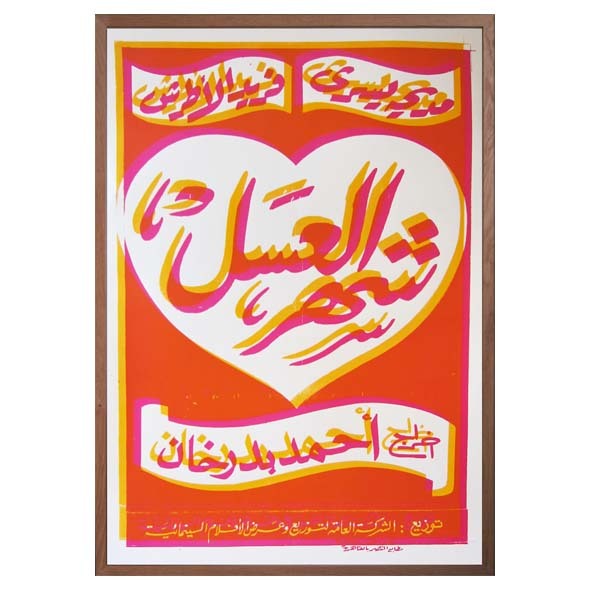 In Salam's work, her origins aren't only flaunted in the Arabic typography, but the product as a whole. We see images of Lebanese, Armenian, and Egyptian pop culture - and no, not so much of the overdone Fairuz. 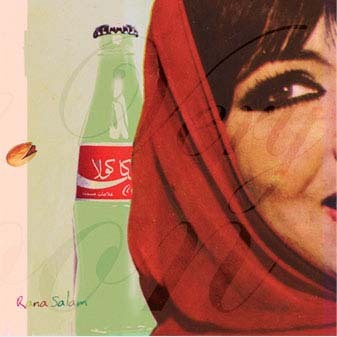 Salam graduated from Beirut's International College in 1986 and went on to pursue graphic design/art direction at London's renown art school, Central St. Martins. Today, she is one of the Middle East's most celebrated designers and is a big-shot at local design conferences. It's a little difficult to define her profession. We'll have to settle on 'designer' as an umbrella term. 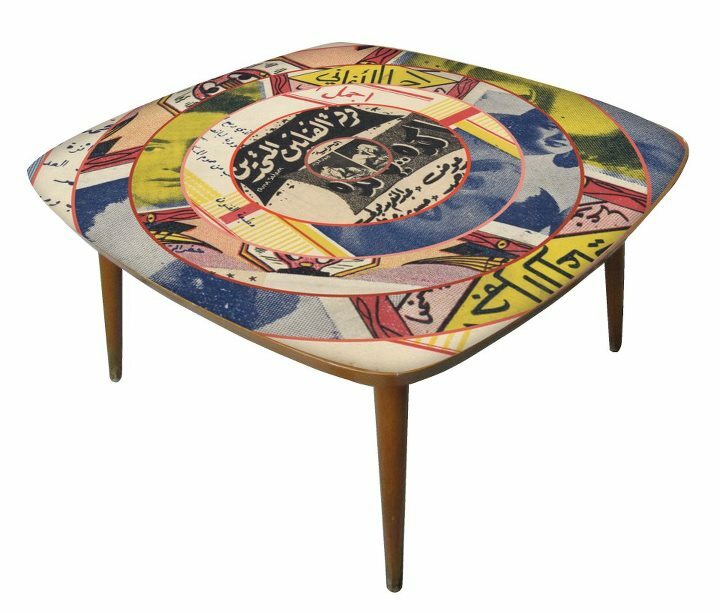 For her store, "mishmaoul", she produces the likes of furniture, wallpaper, prints, brooches and wrapping paper. For her design studio, she works with art direction and consultation. 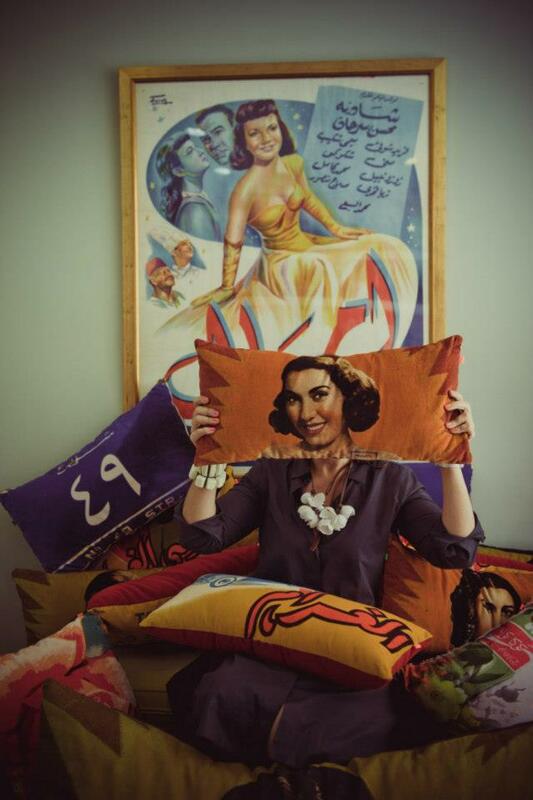 In both her products and designs, we see the Egyptian actresses from the films our parents watched over and over again. We see kitsch that only Salam can bedazzle. I mean, Chiclets? Pistachios? How'd those turn out to look so darn good? Her wall decor is certainly one of my favourite categories. 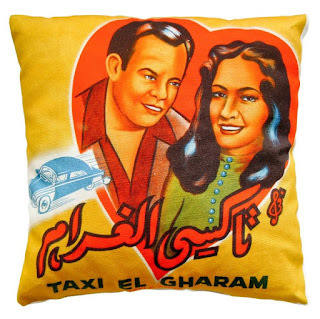 Here Urban Outfitters meets Egyptian cinema, the result - nostalgic retro prints. A product of hers is the want of every dorm girl in town - provided she can afford the not-so-cheap price tag; but this isn't mass-produced IKEA. This is an authentic, humble studio where no piece is overlooked. I chatted with Salam on the topic of her works. 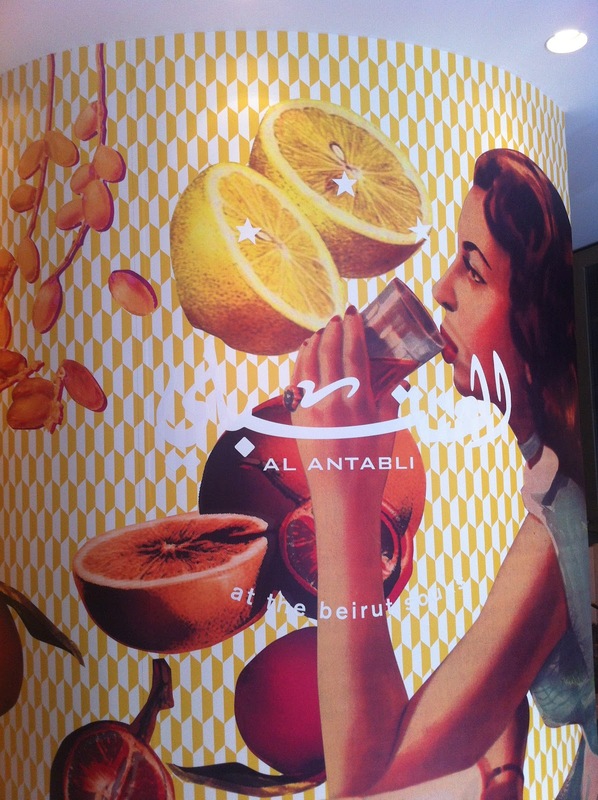 Bananapook: Everyone is looking forward to Antabli’s return to the Beirut Souks. What was it like - being part of the reviving of a an ultra-nostalgic hotspot? Rana Salam: It was a great honour to be asked to get involved. I felt as though the client knew why they chose us and as we recommended Karim Beckdash as the architect to work on the interiors. This was a great collaboration. 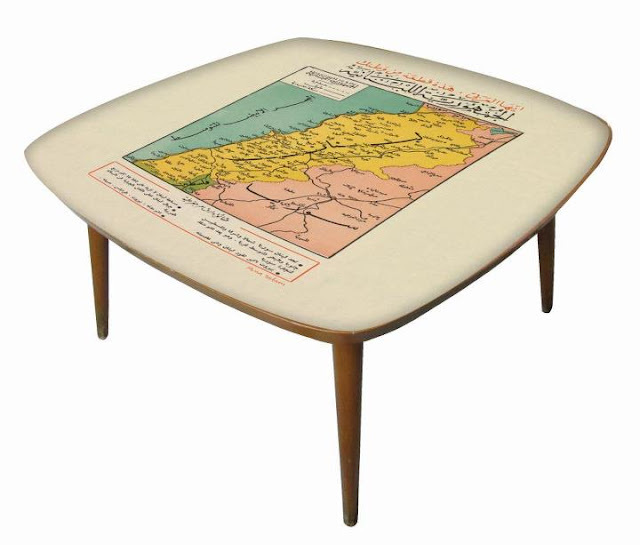 This combination brought Antabli up-to-date in a very stylish and intelligent manner. B: It seems as though there isn't a single design realm you haven't visited. Except maybe one; ever contemplated venturing into fashion and clothing? RS: Sure! It's always been my secret! But I'm not ready to go into pattern-cutting and all that headache! I do feel that fashion is an attitude, and my work has that. B: You have a series of Egyptian cinema posters. Where does this interest come from? RS: This was a discovery in 1992 while doing my thesis at the Royal College of Art. I stumbled upon a collection in a cinema warehouse in Beirut and there they were collecting dust! I realised how little value they were given! I had to give them a platform. B: Rana Salam Design has internship opportunities (full for this season). What can your interns contribute - and what can they learn? RS: Their contribution in making me feel as though I am influencing the next generation of designers. Allowing them to bring new ideas on the table is encouraged. They learn about how visual communication works, and how a design business is run. 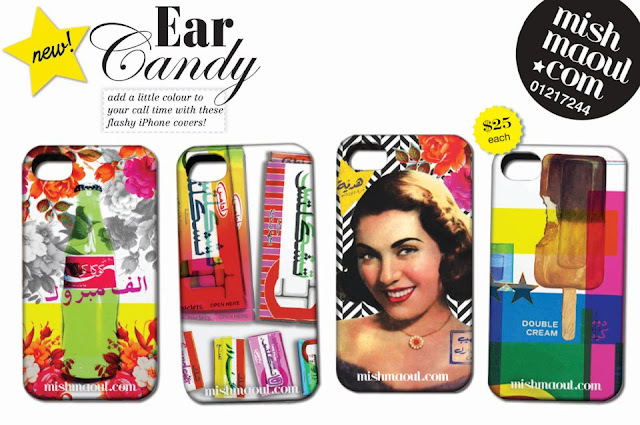 B: Mishmaoul.com is one of the few stores with online shopping in Lebanon. I know the Lebanese have a general preference for seeing before buying. Are your customers mostly offline or online buyers? RS: Mainly offline although we sell more online via other platforms such as Dia Boutique, Lebiklik and Mydeco. B: The Rana Salam Design website mentions that mishmaoul.com will be launching a new ad campaign. Can you give us a little teaser? RS: Sure! It's the banner on my Facebook mishmaoul page. Have you seen it? [I'm] flying on a scooter in space. B: What was the most enjoyable project you’ve ever done? RS: I'd say Harvey Nichols [London]! It was the beginning of something big, done spontaneously and with love- not money! B: If you had to choose one pantone color, which one would it be? RS: It would always be the combination of fluo magenta pink with orange! Always! The lack of Arabesque patterns in her work works wonders for me. It detaches Lebanon from its projected image as Islamic and gives our true culture a charm. We're the humorously translated spelling of 'Coca Cola' - not boring, geometric patterns. Make sure to stop by Rana Salam and michmaoul's quirky online store. You can also keep up-to-date with her larger projects on her personal website, which includes an intimate blog with descriptions of her newest endeavors. Note: All images on Bananapook are copyrighted material and all rights are reserved to the respective artists.